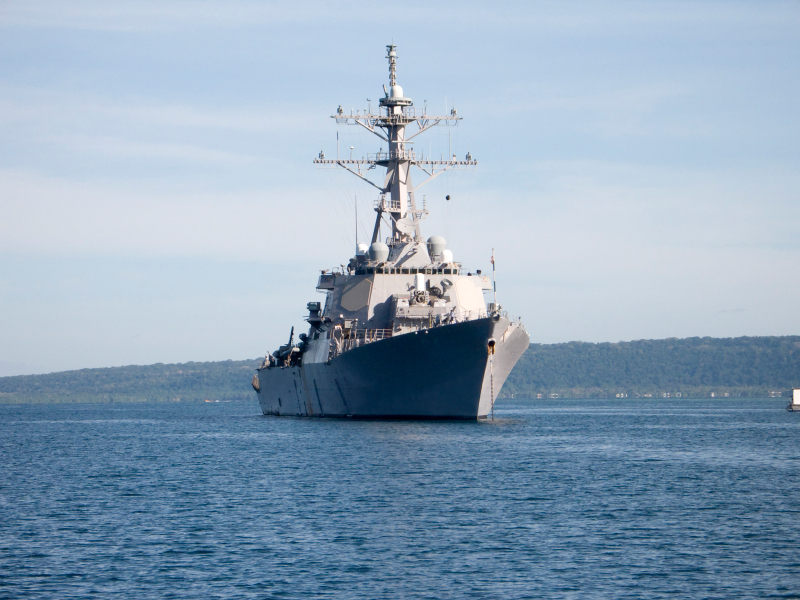 Think about how much it costs to fuel your vehicle for your weekly commute, then imagine how much it would take to fuel a U.S. Navy destroyer for only an hour at sea – approximately 1,000 gallons. With such a ravenous appetite, refueling these massive warships can interrupt missions and present challenges in rough weather. However, researchers at the U.S. Navel Research Laboratory have found an alternative – seawater. Navy researchers have found a way to convert seawater to jet fuel in what is being touted as a potentially revolutionary advancement. 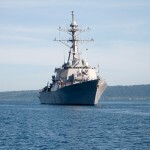 Researchers at the Naval Research Laboratory (NRL) developed technology to extract carbon dioxide from seawater while simultaneously producing hydrogen, and then converted the gasses into hydrocarbon liquid fuel. The development of a liquid hydrocarbon fuel could one day relieve the military’s dependence on oil-based fuels and is being heralded as a “game changer” because it could allow military ships to develop their own fuel and stay operational 100% of the time, rather than having to refuel at sea. The breakthrough came after scientists developed a way to extract carbon dioxide and hydrogen gas from seawater. The gasses are then turned into fuel by a gas-to-liquids process with the help of catalytic converters. A catalytic converter extracts carbon dioxide and hydrogen from water and converts gases into liquid hydrocarbons at a 92% efficiency rate, and the resulting fuel can be used in ships’ existing engines. The new fuel is expected to cost around $3 to $6 per gallon, according to the U.S. Navel Research Laboratory, which has already flown a model aircraft on it. The next major step is to build the infrastructure to convert seawater fuel on a massive scale and the Navy predicts it could be commercially viable within a decade.